What’s on in Cornwall? You’re better off asking what’s not on! From family-friendly festivals to community celebrations, boat races and feast weeks, Cornwall has plenty to offer as the summer season gets under way. 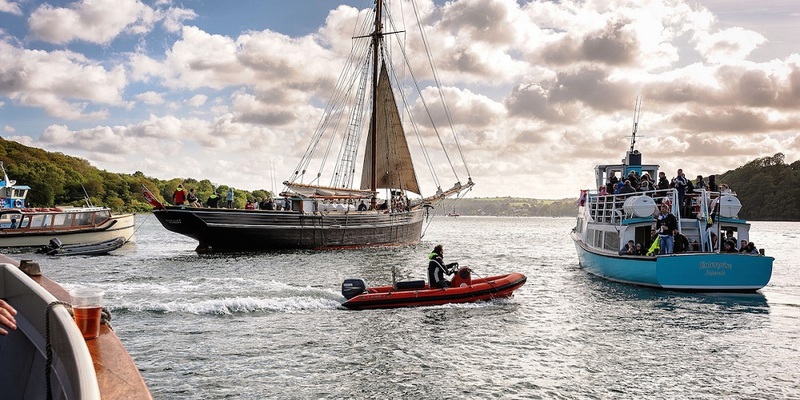 Every year locals and visitors celebrate life around the Fal River with a week of music, comedy, food, sport, entertainment and community events. Festivities kick off with ‘Jazz on the Quay’ in St Mawes, a street food market in Falmouth and canoeing and ‘stand up paddling’ on the river itself. Cornish poet Charles Causley is celebrated in this family-friendly festival of arts, which includes performances, talks, films, workshops, walks and exhibitions. Children will love the ‘Lego with Causley’ event, where they can create lego scenes and models while listening to readings of Causley’s poems. When it comes to what’s on in Cornwall, this event has it all: sheep dog displays, show jumping, demonstrations from the RAF Falcons and Atkinson Action Horses… and that’s just in the main arena! Elsewhere on site there’s a steam fair, flower show, arts and craft market, dance festival and plenty more. With gig racing, sailing, canoeing and even a bit of swimming, this not-for-profit event is a real celebration of water sports. Visitors can also enjoy live music, street entertainment and children’s rides, not to mention browsing the many stalls selling crafts and local food and drink. Celebrate the heritage of maritime music with this series of free events around Falmouth, featuring the likes of Fisherman’s Friends, Femmes de la Mer and The Barnacle Boys. Don’t miss the special one-off Gala Concert at the Princess Pavilion – profits from the £10-a-head tickets go to support the RNLI. If you like boats, you definitely don’t want to miss this three day rally of classic sailing crafts and traditional vessels, which includes several races and a grand parade. Watch from a number of key venues including Falmouth Docks, Gyllyngvase Beach, Pendennis Point and St Mawes Castle. 18th century inventor William Murdoch is one of Redruth’s most famous citizens. His life and work is celebrated every year on Murdoch Day, which includes children’s dance and art processions, live music and entertainment, a street market, exhibitions and an Old Tyme Fair. Resurrected and recreated for a new generation in 2013, this historic week of festivities is based on the ‘feasten customs’ made popular during Victoria times. There will be historic exhibitions and talks, music and entertainment, and a walk of the Heart of St Austell Trail, which takes in 18 of the town’s most significant old buildings. There aren’t many places you can see dancing diggers and Cornish wrestling, so make sure you don’t miss the annual St Merryn Steam and Vintage Rally this summer. The weekend’s attractions also include vintage exhibits, trade stands, a car boot sale and musical performances. We’re always interested in hearing about what’s on in Cornwall, so if you’re organising an event, let us know. If you’d like to go to any of these events and need a place to stay, check out our great range of holidays in Cornwall.